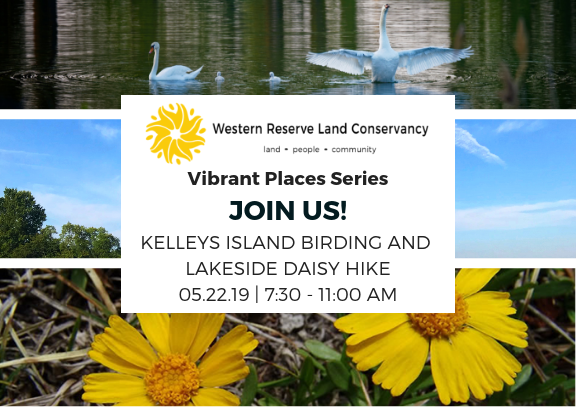 Western Reserve Land Conservancy has permanently conserved 130+ acres across five properties on Kelleys Island. Join us to explore some of these amazing properties! Nestled just a few miles off Ohio’s north coast, many appreciate the rich geologic and natural heritage of Kelleys Island – from glacial grooves reminiscent of the ice age to pockets of globally-rare habitat that support rare and endangered species. For years, conservation partners have worked tirelessly to protect this heritage and provide public access to these natural wonders. 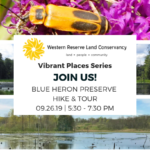 Join us to explore several sites with geology and birding experts. The event will include complimentary lunch. Guests will purchase their own walk-on ferry ride tickets for $20 round-trip. Parking is $10 per space at the ferry launch. Limited carpool transportation options may be provided. 8:00 AM | Ferry departs promptly at 8:00 AM – please arrive in plenty of time to ensure you make it on the 8:00 AM ferry! Please wear weather appropriate & comfortable clothing that you do not mind getting wet or dirty. Close-toed shoes are recommended. Hikers are encouraged to bring: bug spray, sunscreen, reusable water bottles, hats, and sunglasses. Registration is limited to 20 people. Please register below to reserve your spot.